Are You New RVers? Gulf Stream Coach Is the Best Place to Start! 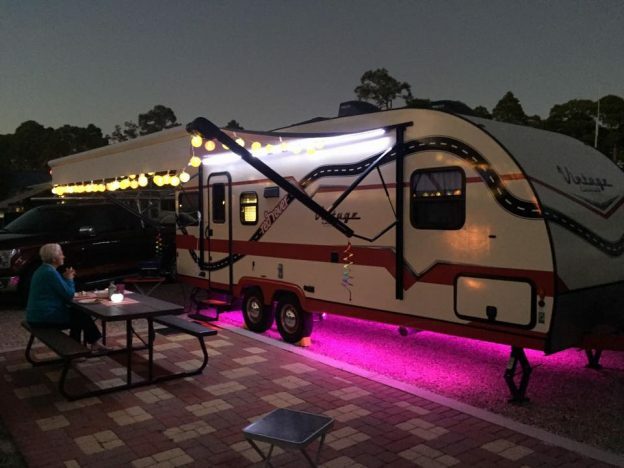 Are you new to RVing? Are you considering your first travel trailer or motor home? Welcome to our world! RVing is one of the most satisfying and compelling adventures of life, and it’s been our honor to be a part of that adventure with countless thousands of families for over 35 years. We think we’re a great resource for new RVers, both in terms of the products we offer and the company we’ve built. This week we’re introducing you to our famous, industry-leading ‘entry-level’ brands: Ameri-Lite, Conquest Lite, Kingsport Lite, and Innsbruck Lite. 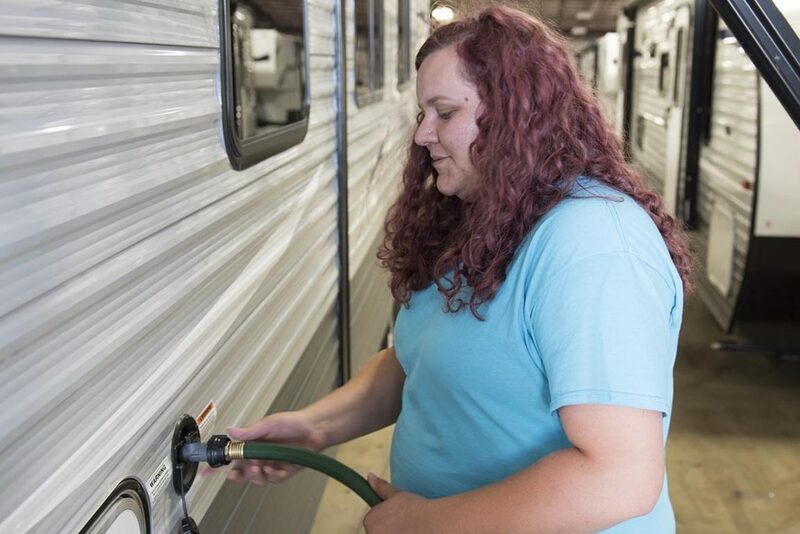 New RVers are often ‘testing the water’ with the first travel trailer or motor home they buy. 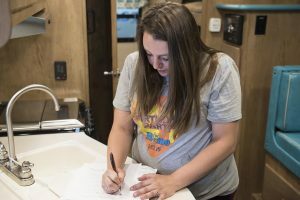 They’ve heard what it’s like to have an RV from others; they may have memories of camping as youngsters, and they may be curious about the RVs they see on highways, campgrounds, and RV dealerships. But they want to be careful with their first step. They don’t want to spend a fortune only to find that RV camping isn’t for them. Well, at Gulf Stream Coach, we’ve created a whole class of travel trailers designed specifically for that first step, with sizes, prices, and features that won’t overwhelm first-timers. That means that new RVers can enjoy the excitement, relaxation, and adventure of RVing without breaking the bank! 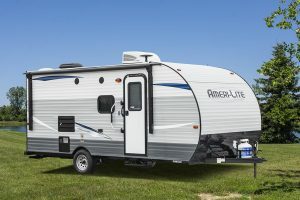 Look for our Ameri-Lite, Conquest Lite, Kingsport Lite, and Innsbruck Lite lines, and you’ll find trailers that are ideal for 2 to 4 people, (and can accommodate as many as 8). All can be towed easily by most mid- to-full size family cars, mini vans, trucks, and SUVs. 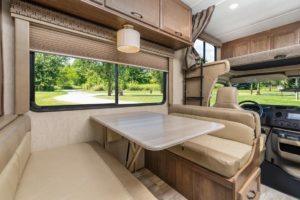 All include everything you need for campsite comfort, and offer a handy list of options that can add a surprising level of luxury. We’ve been building the Ameri-Lite brand for a generation now, and it reflects the refinements in materials and advancements in technology we’ve made over the years. And while it may not be the “cheapest” travel trailer on the market, we think you will find that it offers the perfect balance of quality, value, and innovation for a family of new RVers. 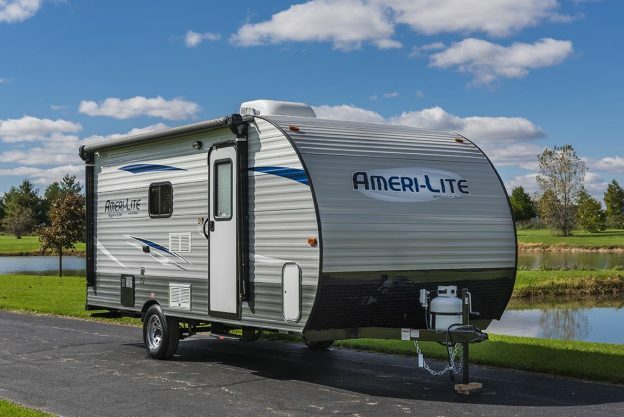 In an Ameri-Lite Travel Trailer (or sister brands Conquest Lite, Kingsport Lite and Innsbruck Lite), you’ll escape the everyday routine. The car, SUV, van, or truck you drive to work every day will become the ‘booster rocket’ that lets you explore the great outdoors, experience breathtaking sights, find peaceful refuges, and strengthen bonds among family and friends. This entry was posted in News on March 29, 2018 by pcampbell@gulfstreamcoach.com. Featured Image: Scott M’s Vintage Cruiser campsite; just one stop on 26,000 miles of adventure. 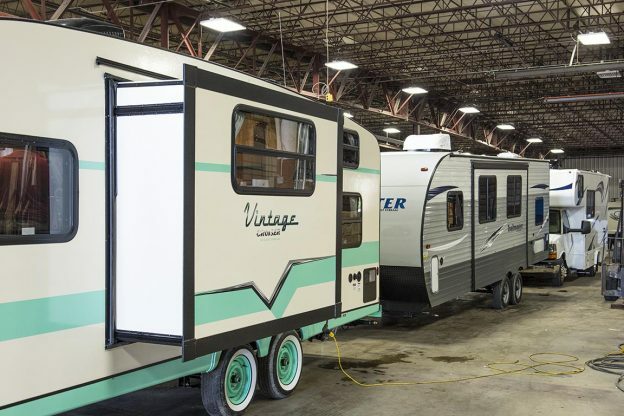 If you’ve seen the Vintage Cruisers on the road, in a campground, or at a recent RV Show, it just may have been love at first sight. No travel trailer in recent years has captured anything close to the excitement and devotion of this compact, ultra-lightweight gem from Gulf Stream Coach. With its fun-loving vibe of the 1950’s and state-of-the-art features of the 21st Century, the Vintage Cruiser simply makes camping FUN! Its smaller size, light weight, and lower overall profile make it easy to tow and maneuver with virtually any mid-size car, light truck, or SUV. 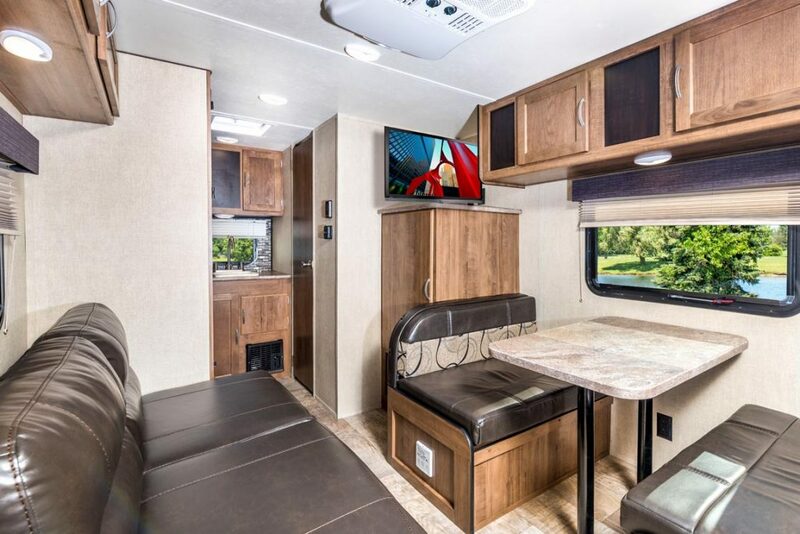 While small on the outside, the Vintage Cruiser is amazingly BIG on the inside, with 83″ ceilings, large beds, spacious dinettes, full-feature kitchens, and full, dry baths. Get the specifications, pictures, videos, and features of the Vintage Cruiser here. Vintage Cruiser travel trailers – And their owners – are traveling and camping in beautiful, exciting, peaceful, unforgettable places across the United States and Canada. And, Vintage Cruiser owners are posting stunning pictures on “The Vintage Cruisers” page on Facebook. 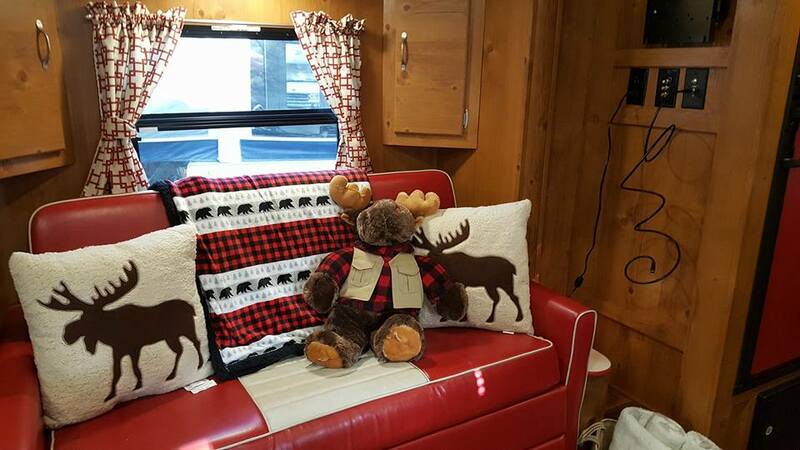 As seen on ‘The Vintage Cruiser’ Facebook page: Vintage Cruiser “Woodie” interior with personal touches added by Sharon T.
Gorgeous outdoor settings, captivating locations, and beautiful campsites are just half the story, though. The Vintage Cruisers on Facebook will take you inside their units, to show the amazing decor Gulf Stream Coach has created. They’re also eager to show you how they’ve enhanced their units with accessories and upgrades that add touches of color, style, and personality. if you’re curious about the lifestyle of Vintage Cruiser owners, you owe it to yourself to check out ‘The Vintage Cruisers’ on Facebook. If you join the group (it’s free, of course), you’ll meet hundreds of Vintage Cruiser owners, and see how they are re-discovering the sheer fun of camping. Who knows – You may even discover that a Gulf Stream Coach Vintage Cruiser is the perfect choice for you. This entry was posted in News on March 19, 2018 by pcampbell@gulfstreamcoach.com. Get our Conquest Shoppers Guide and Checklist BEFORE you go Motor Home Shopping! Shopping for a new Motor Home? It’s a great time to buy, while the Winter/Spring RV Shows are in full swing. We’re also providing a great tool to take with you when you start shopping. 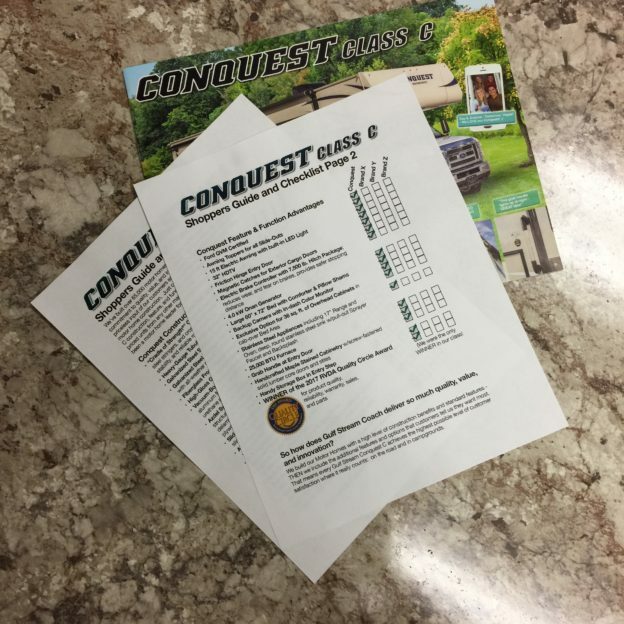 It’s our Conquest Class C Shoppers Guide and Checklist, and you can download a printable copy right here. The Shoppers Guide and Checklist gives you a handy list of the top 30 features we’ve included in every new Conquest Class C Motor Home. The list of 30 is the result of 35 years of experience building and selling motor homes to people like you. That’s 35 years of new ideas, technology, and real-world testing. The Shoppers Guide also lists the things RV’ers like YOU have asked for most often. It’s like a greatest-hits list of the construction, technology, features, and luxuries that actual Gulf Stream Coach owners have told us are most important. And here’s the best part: ALL of them are INCLUDED in every Conquest Class C we sell! You get them all, with no add-ons or extra-cost options. 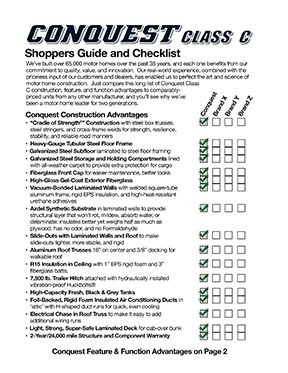 When you go shopping for your new Class C, our Shoppers Guide and Checklist will help you compare alternatives. Take it with you when you visit your local RV dealer, go exploring at an RV show, or spend time shopping online. 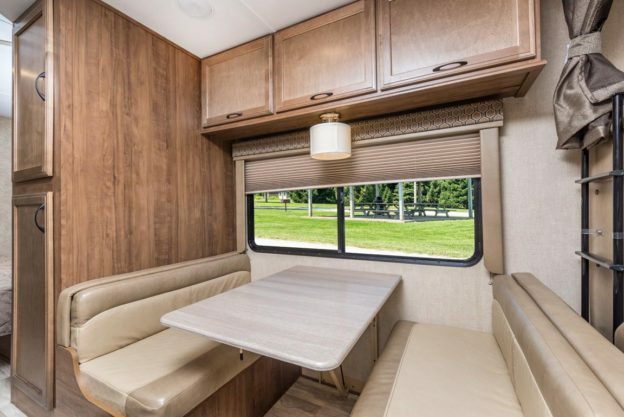 We think you’ll see how many advantages you get with the Conquest Class C, and we think you’ll agree that no other motor home in its class comes close. Did we ‘stack the deck’ in our favor? Not really – We’ve just spent 35 years listening to people like you, so we could give you exactly what you want and need. With that kind of input, we come out on top – And so do you! This entry was posted in News on March 9, 2018 by pcampbell@gulfstreamcoach.com. A Gulf Stream Coach Bath – Looking Up! 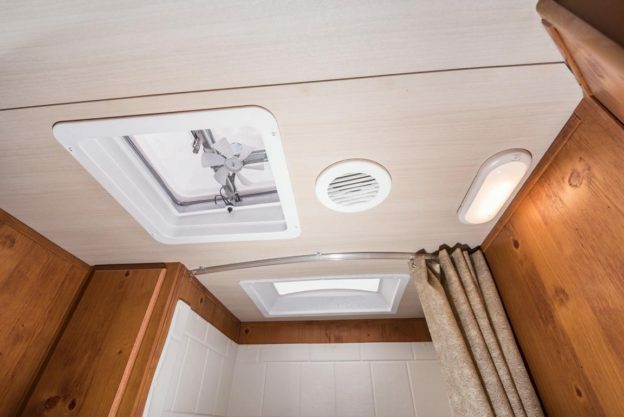 Here’s a picture recently taken in the bath of one of our new Cabin Cruiser travel trailers (the Model 25BHS which you can find here). There’s a lot to see when you look up in one of our baths, so here’s a little tour of that small but critically important space! You’ll see a Power Vent Fan in the picture. Ventilating the space is essential to reduce moisture and … um… odors. There’s a world of fresh air just outside the bath, and our power vent fan is key to the “out with the bad air, in with the good air” process. The ceiling light is an LED lighting fixtures. We use LED lights wherever possible because they save weight, run cool, last indefinitely, and use far less power than old style incandescent bulbs. Though you can’t see it, there’s a handy light switch for this fixture mounted on the bath wall just inside the door. There’s another source of light in the shower, too – it’s a dome-shaped skylight. Besides flooding the space with up-and-at-’em morning light, that skylight provides just a little bit more head- and elbow-room in the shower. This bath – and many of our others – includes a one-piece molded surround that includes handy spaces for soap, shampoo, and other necessities. The surround also helps separate the wet environment of the shower from the rest of the space, like your tiled bath at home. Of course we install a foot-flush toilet, a washstand, with hot and cold running water, counter space with GFI-protected outlets, a mirrored Medicine Cabinet, and, wherever possible, storage space or shelves for towels and other things in our bath. It probably goes without saying, but just to be complete – This is a DRY bath. Unlike other builders, Gulf Stream Coach doesn’t mount the toilet in the shower – That’s a trick that doesn’t make much sense to us. Well, that ends this quick tour of a Gulf Stream Coach bath. 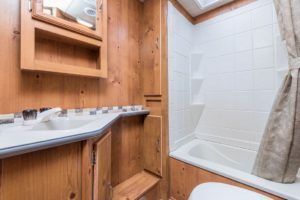 We hope you’ll think of the features we put into our baths, next time you’re shopping for a new travel trailer or motor home. And remember – Start by looking up! This entry was posted in News on March 6, 2018 by pcampbell@gulfstreamcoach.com. Love to get the latest news? Follow ‘gulfstreamcoach’ on Instagram! 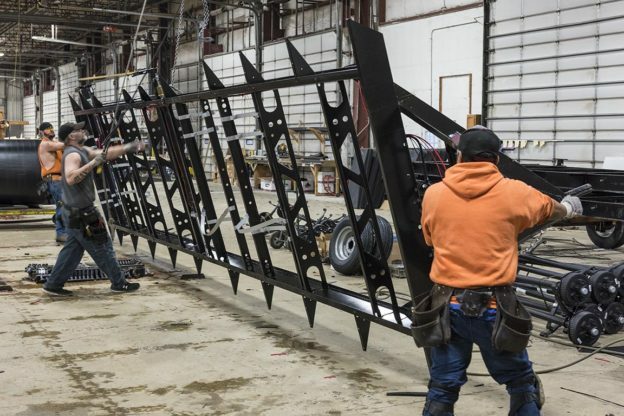 A recent Instagram post on ‘gulfstreamcoach’ showed the Flooring Department using a hoist to flip a travel trailer chassis to install the polypropylene underlayment. If you’re the type of RV’er who wants to know what’s going in in the Gulf Stream Coach world, you can see the latest and greatest news by following us on Instagram! Just search and follow ‘gulfstreamcoach’ on the Instagram app. You’ll get a look behind the scenes, and a glimpse ahead of the curve! On our Instagram feed you’ll see new products, features, and options, before they show up at your Gulf Stream Coach Dealer. You’ll see what it takes to produce our photo galleries, videos, and brochures. You’ll go with us to RV Shows across the country, and you’ll get a look inside the Gulf Stream Coach production facilities. The great thing about Instagram is that It’s easy, it’s interesting, and it’s free – AND, when you follow us (gulfstreamcoach), you’ll be a Gulf Stream Coach insider. This entry was posted in News on March 2, 2018 by pcampbell@gulfstreamcoach.com. Take a look at these images, from the recent photo shoot of our newest Conquest Class C, the Model 6220 (See the entire 18-image gallery here). The Dinette wall includes one of our huge picture windows. it grabs and frames a stunning view of the outside world. And, after all, aren’t those incredible views one one the key reasons we go camping? But how is it possible that the Gulf Stream Conquest C consistently gives you larger windows and better views than competing Class C’s? The secret is the way we build our Conquest Class laminated walls, using technology, materials, processes, and equipment that we pioneered and perfected in our own facilities. That’s right – we don’t buy our laminated walls from outside suppliers, like many manufacturers do. We create them entirely in-house, on our own equipment, using our own engineering, methods, and technicians. We know exactly what is in every square foot of the walls we use, and we take responsibility for the work we do. At the heart of our laminated walls is a skeleton frame of square-tube aluminum, cut, formed, and welded in our own metal shop. That aluminum frame is strong, resilient, and light. Filling the spaces in the skeleton are panels of rigid polystyrene insulation. The polystyrene is a ‘closed-cell’ foam that won’t absorb water. Once glued in position, it provides insulation for temperature variances and sound. The insulated skeleton is the middle of a sandwich of layers, that includes internal vinyl-clad paneling, Azdel synthetic substrate, metal and wood backers and stiffeners, and high-gloss fiberglass. Extra aluminum structure and other backers frame our huge picture windows and other openings. We bind the layers together – ‘laminate them’ – with sophisticated adhesives, pressure, and carefully controlled temperatures in a vacuum chamber, creating an amazingly stiff, light, and durable wall. The bottom line: We build our walls with the structural integrity needed to allow us to include those huge picture windows. The strength is designed right in. Enjoy the view! This entry was posted in News on March 1, 2018 by pcampbell@gulfstreamcoach.com.